If you’ve been keeping up with recent headlines pertaining to the medicinal use of cannabis, you’ve no doubt noticed the influx of studies that point to the plant as a viable treatment for curbing opioid addictions. Researchers have also garnered similar results for benzodiazepine users, proving the immense value that marijuana has on eliminating dependence on highly addictive prescription pills. 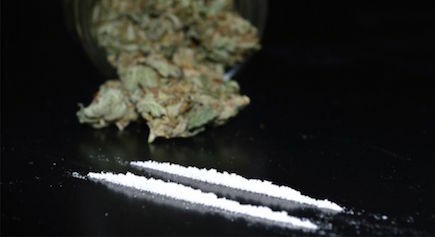 Although the study was primarily focused on crack use, the substance is pharmacologically identical to powder cocaine. Rates of substance abuse disorders related to crack and cocaine both land right around 6 percent, and these findings are especially significant seeing that there is at this time no pharmaceutical treatment for this type of addiction. This particular drug epidemic might have peaked in the late ‘80s and into the ‘90s, but statistics from the National Institute on Drug Abuse estimated that almost 1.4 million Americans still have some level of dependence on cocaine.